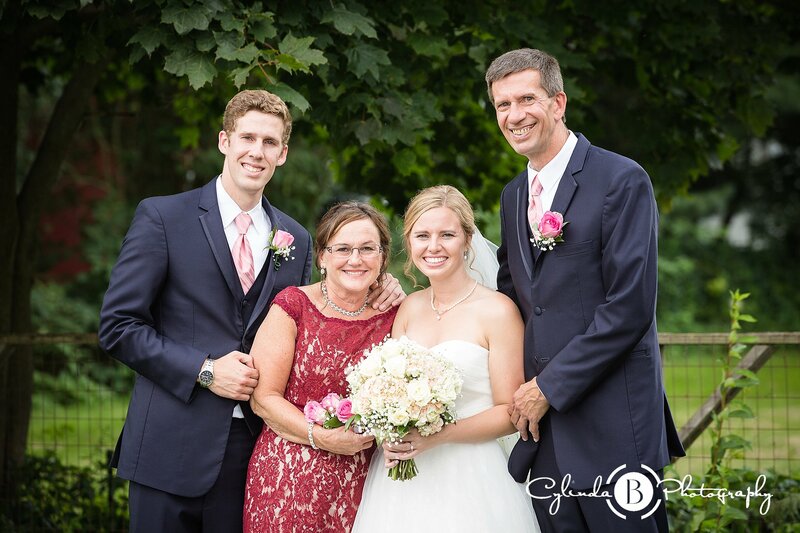 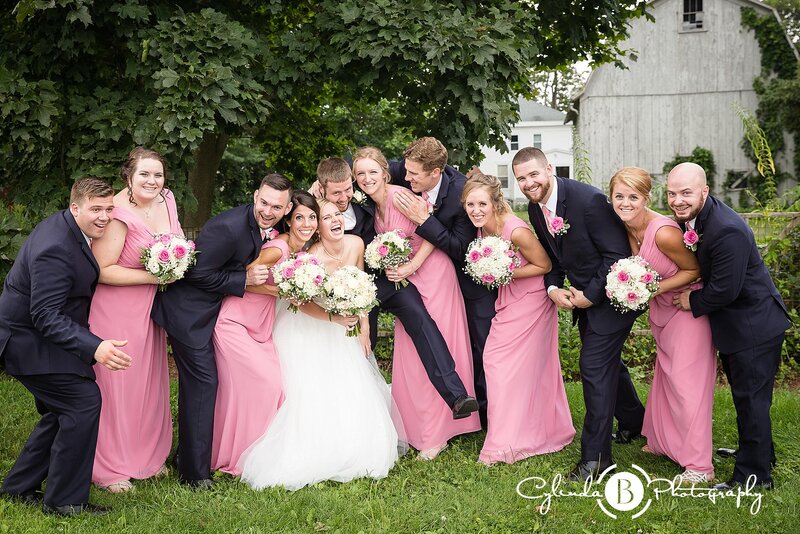 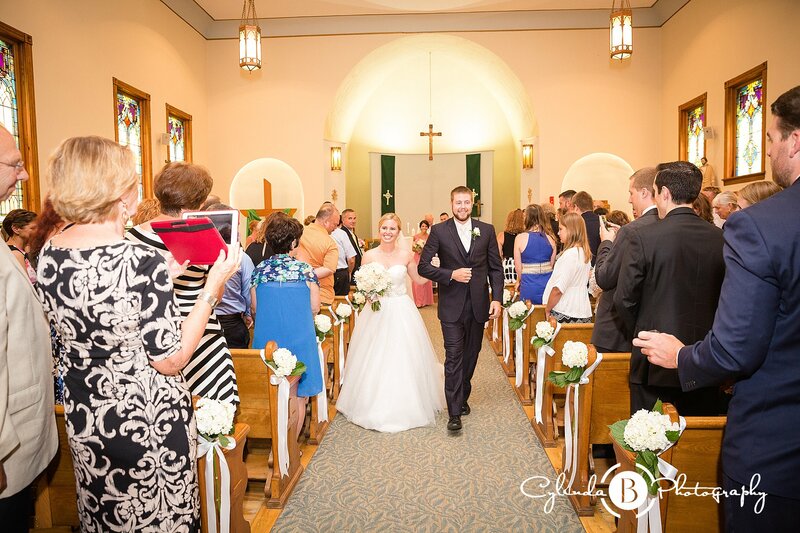 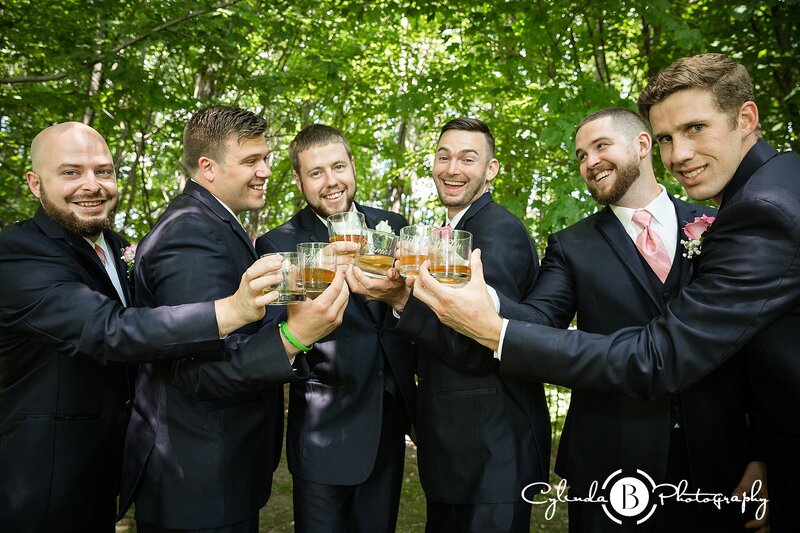 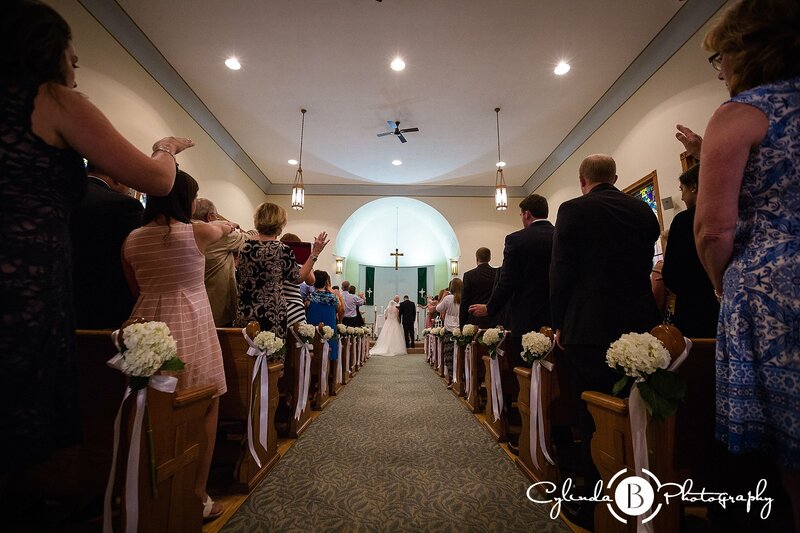 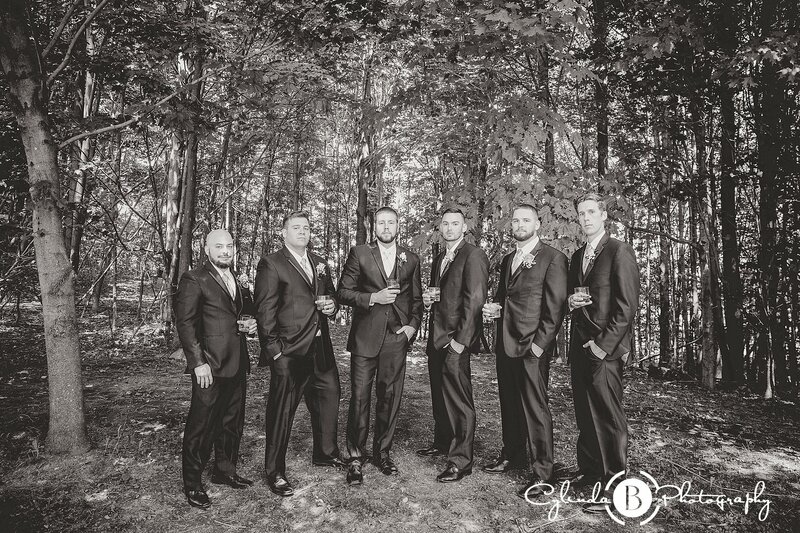 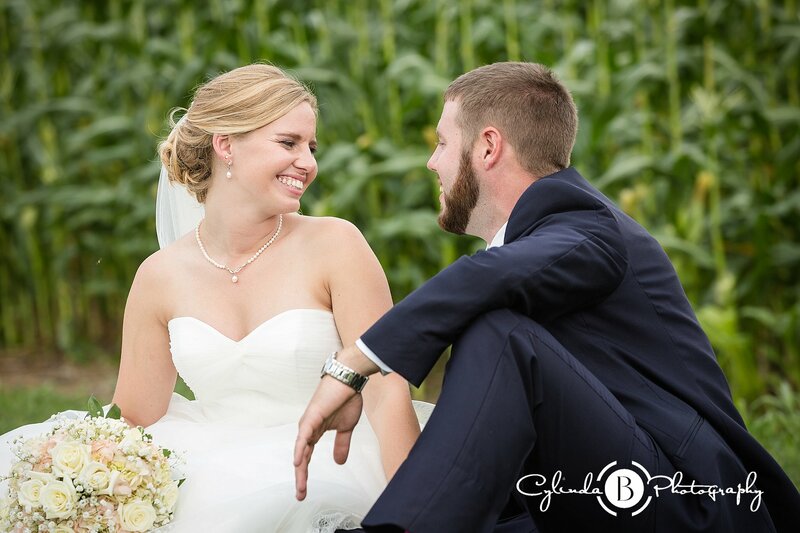 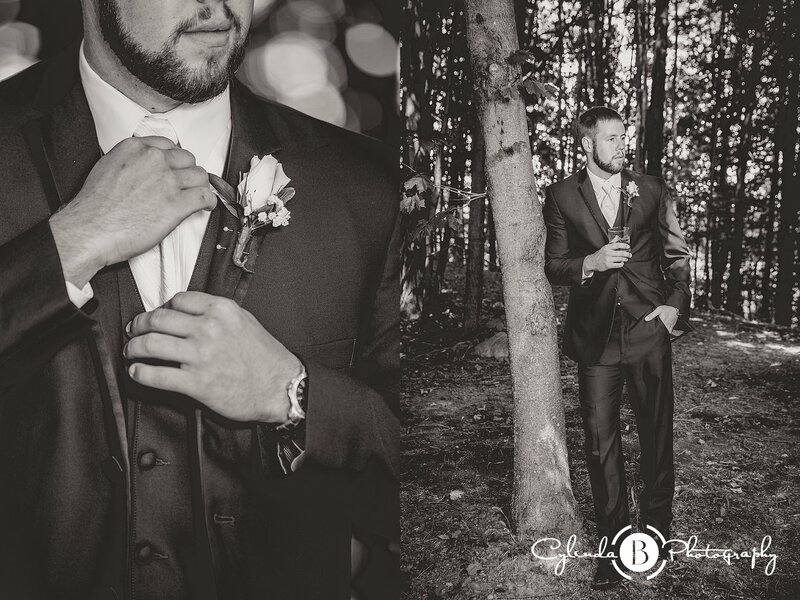 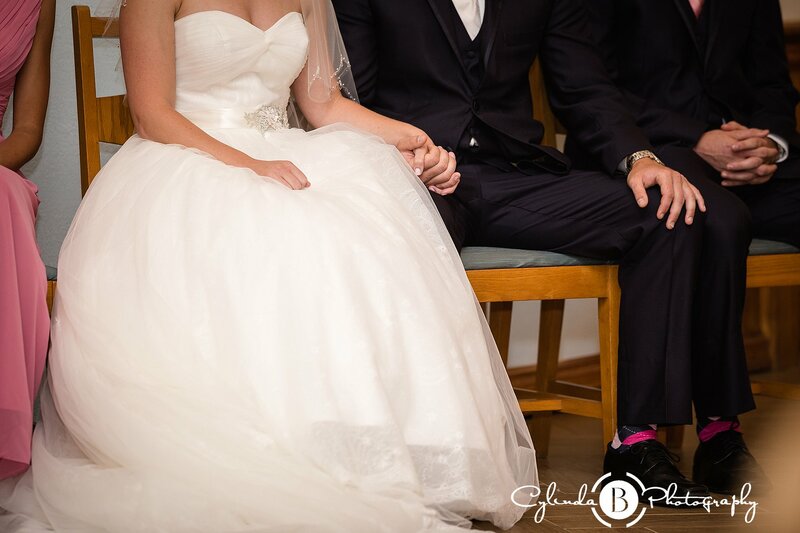 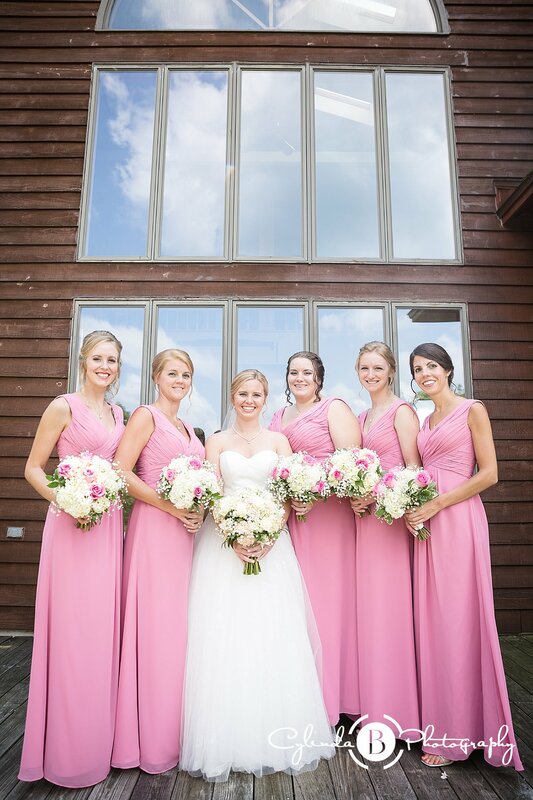 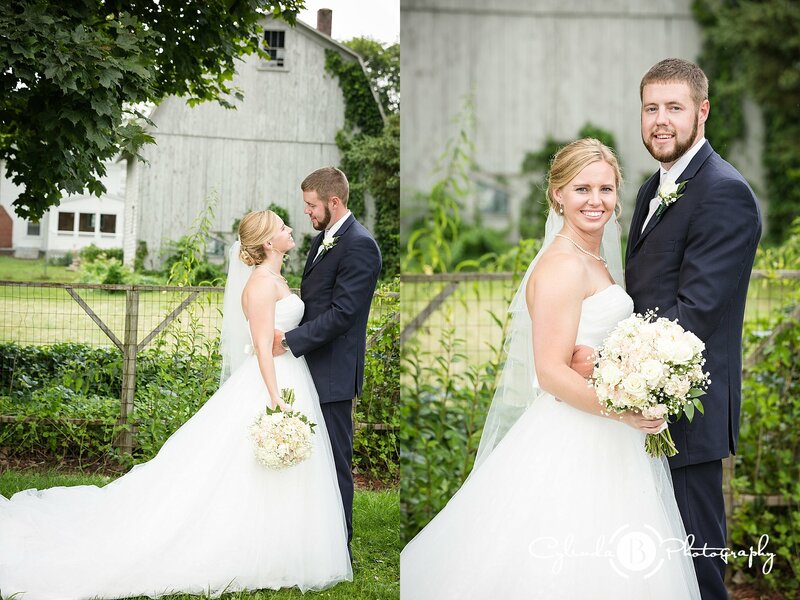 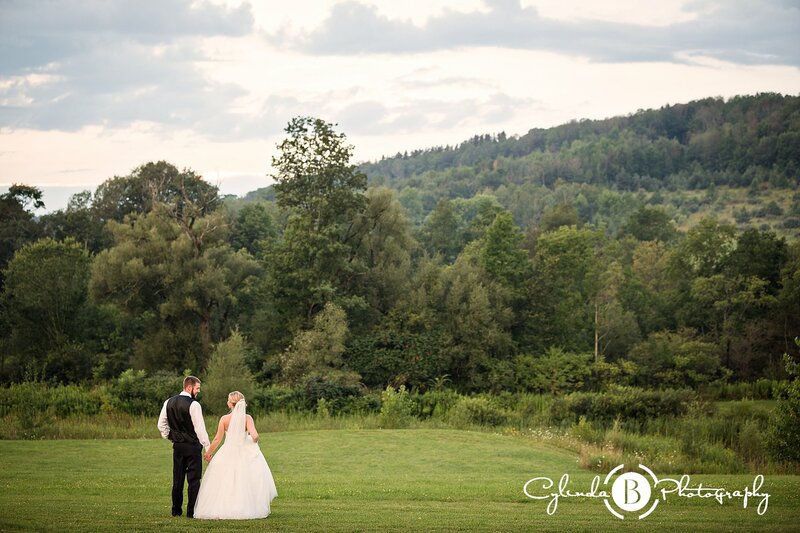 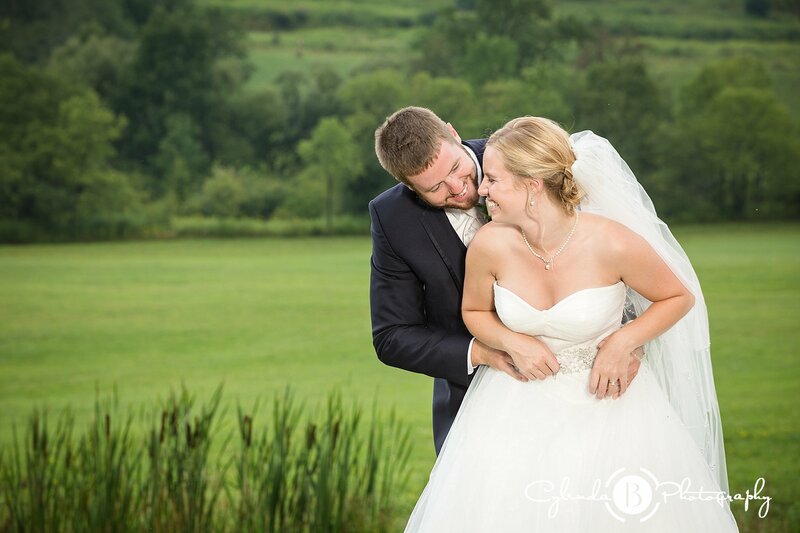 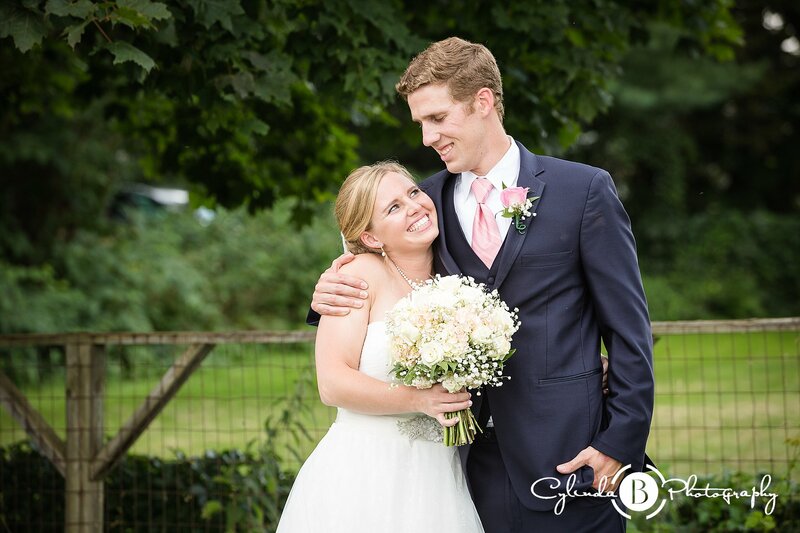 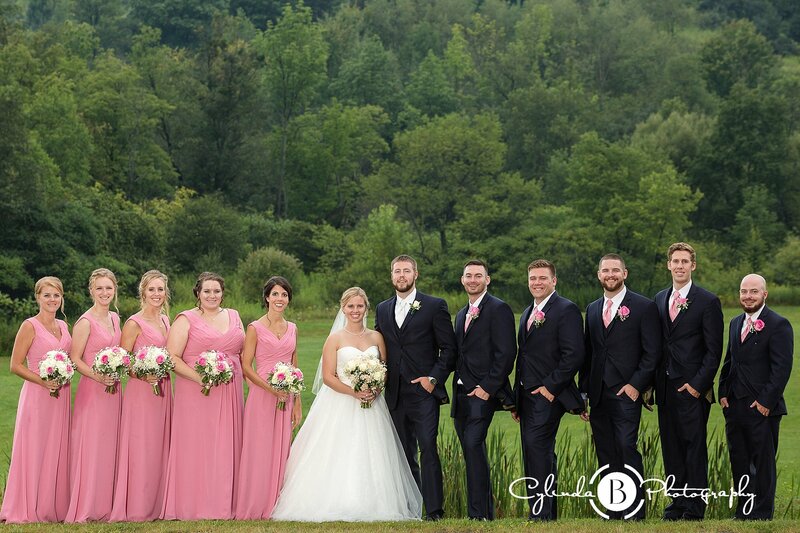 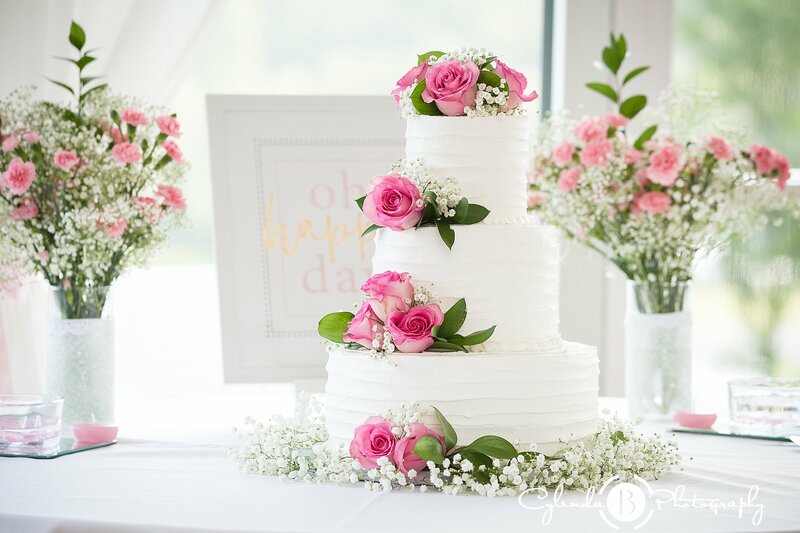 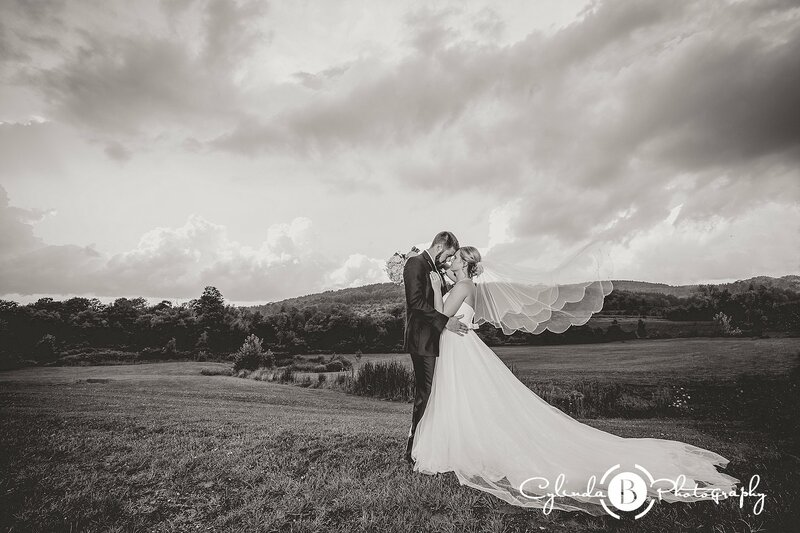 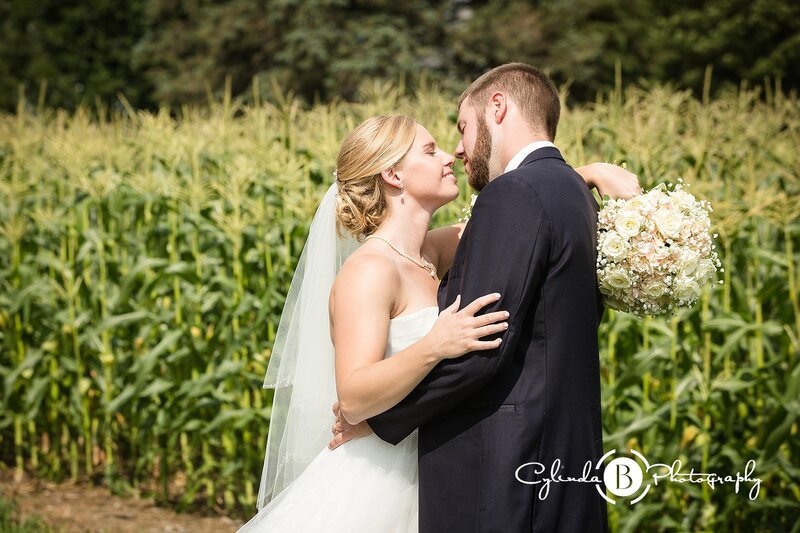 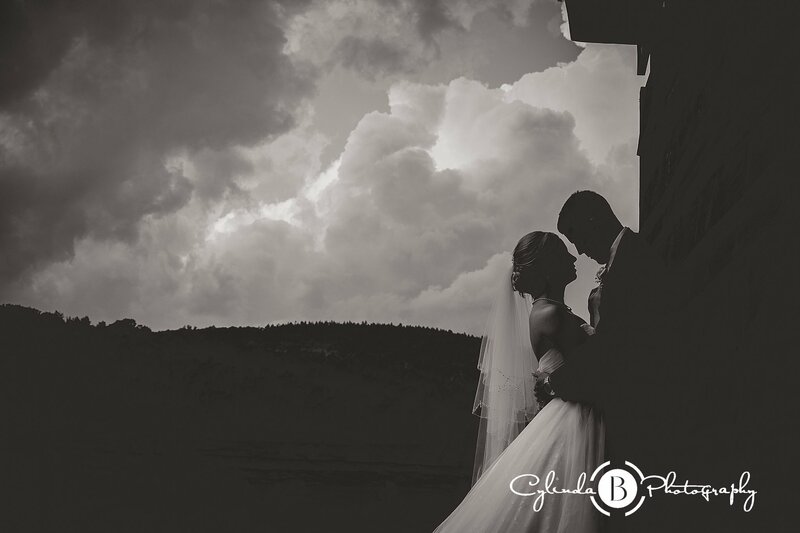 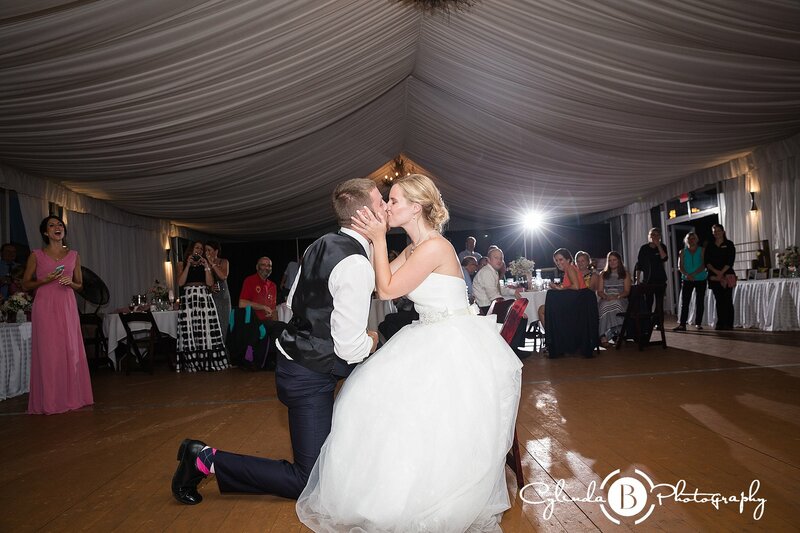 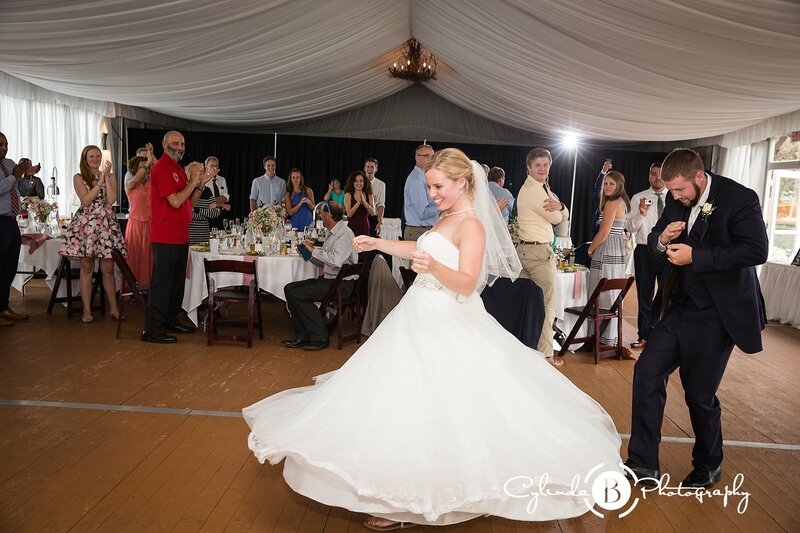 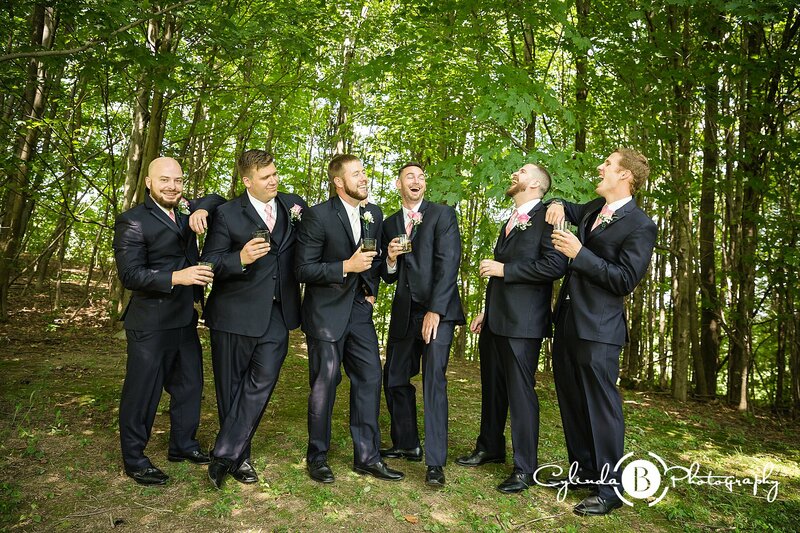 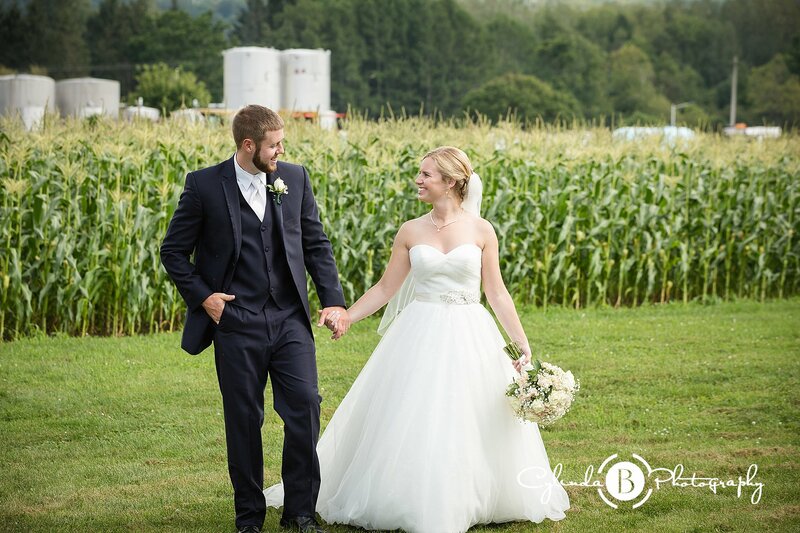 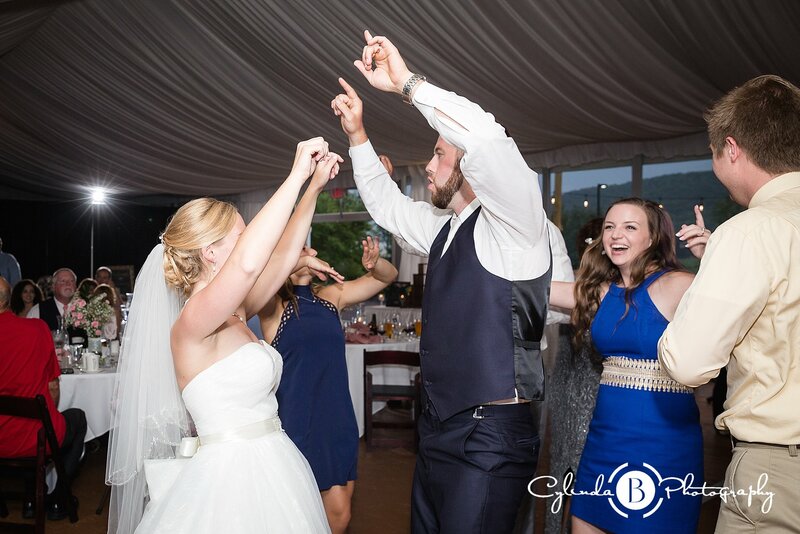 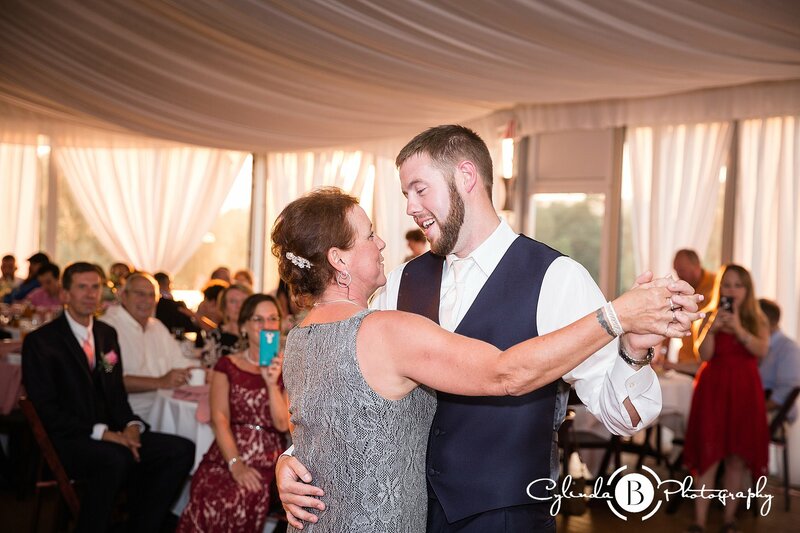 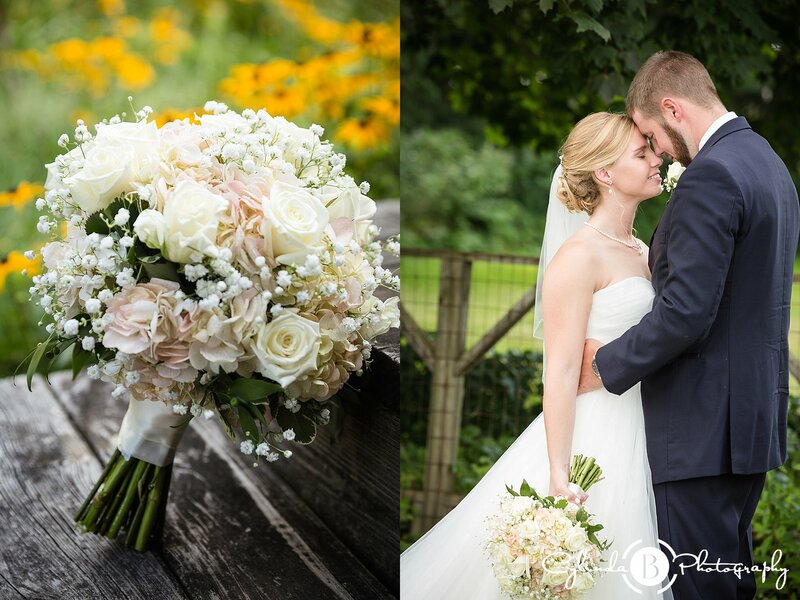 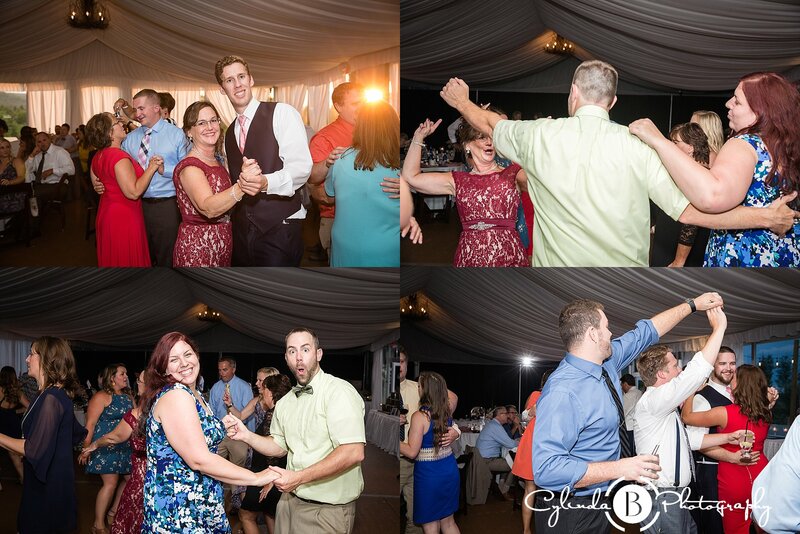 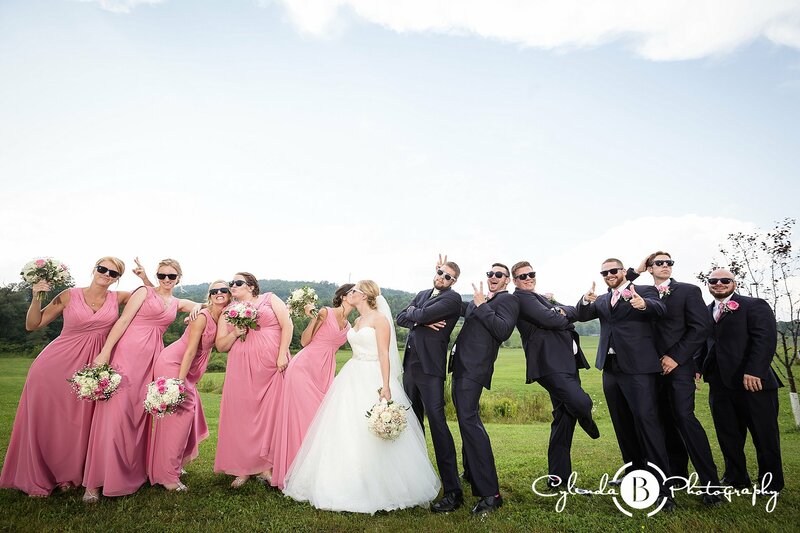 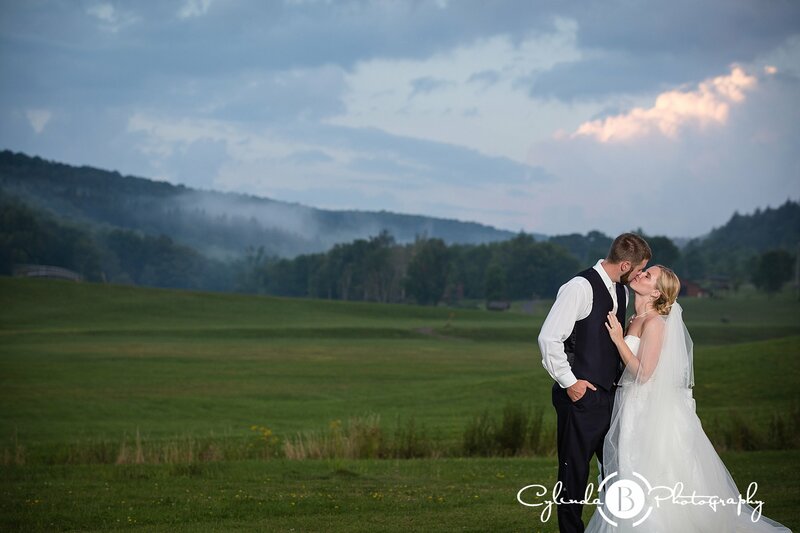 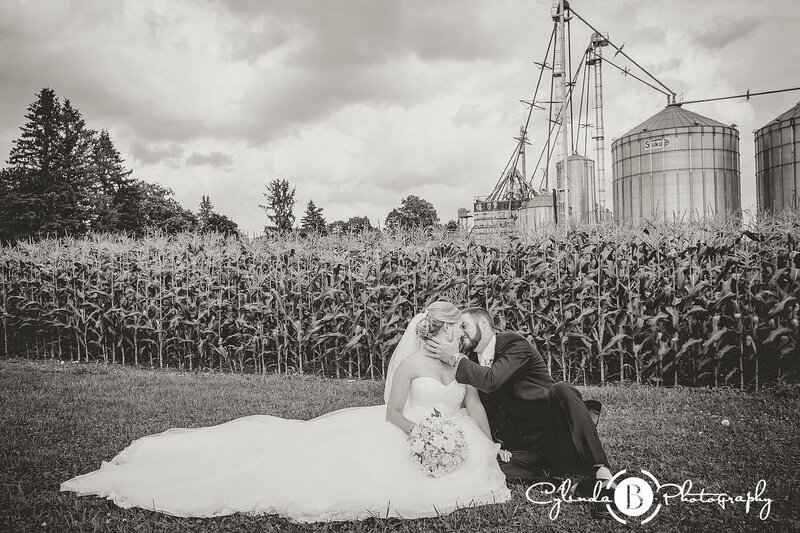 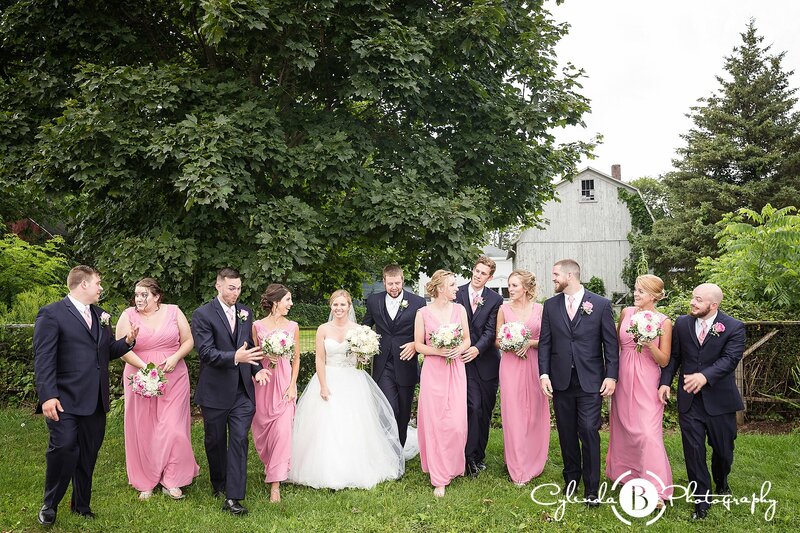 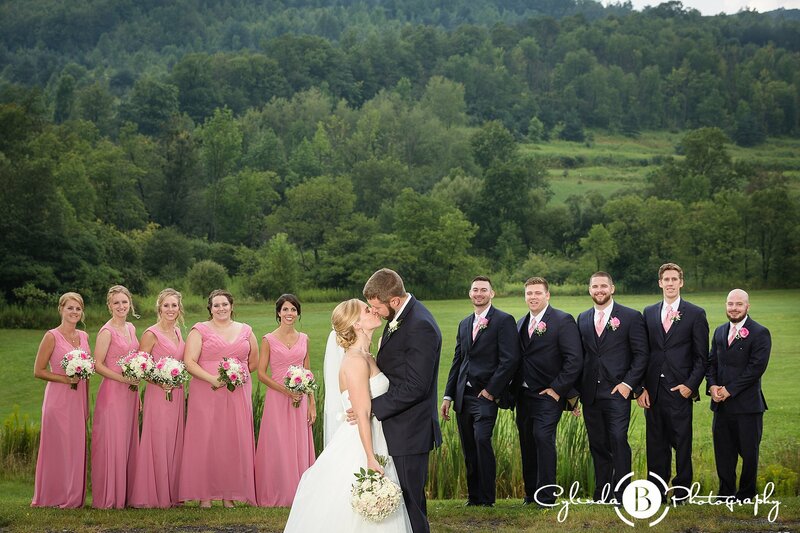 Matt & Emilee became husband and wife a few weeks ago in front of their family and friends and celebrated at the beautiful Greek Peak Mountain Resort in Cortland NY. 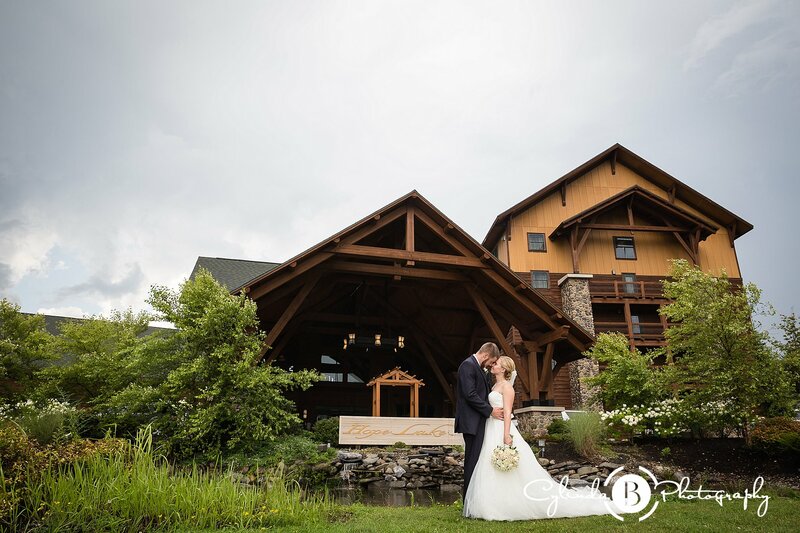 About four years ago they met through a mutual friend from college who invited them on a weekend ski trip so celebrating at a Ski Resort was dear to their hearts and Greek Peak surely didn’t disappoint their vision. 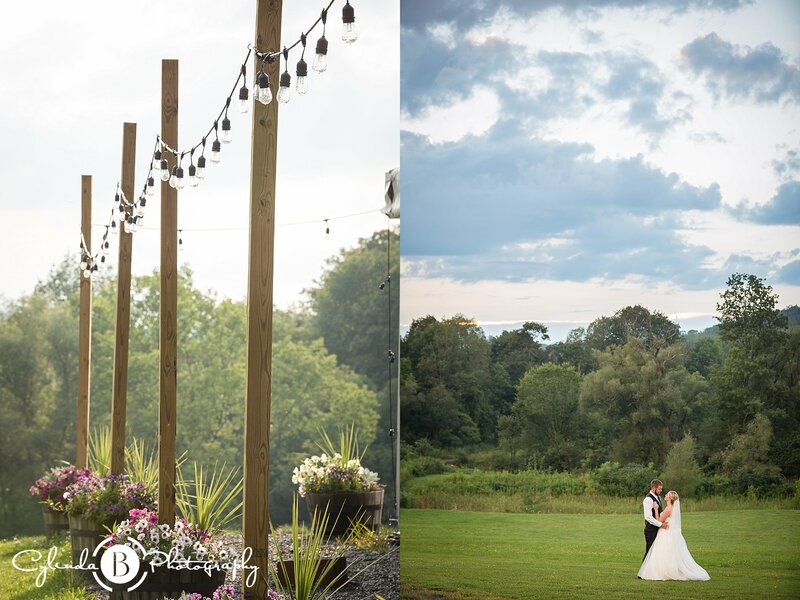 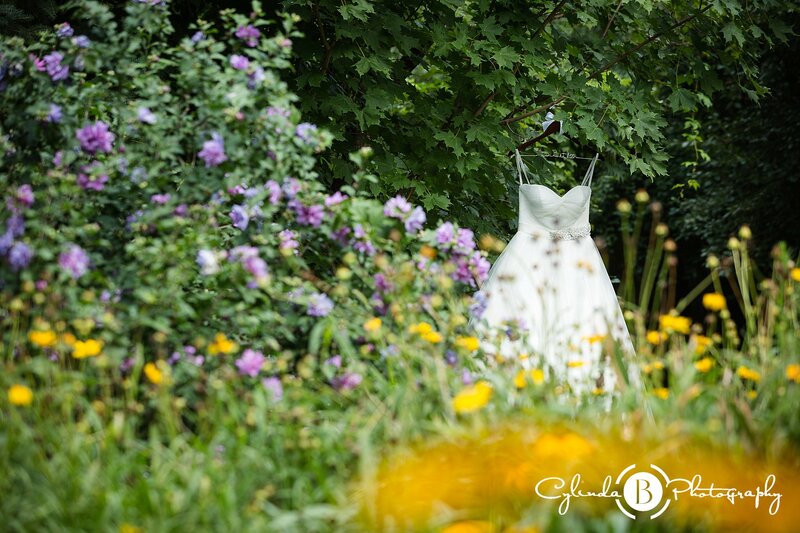 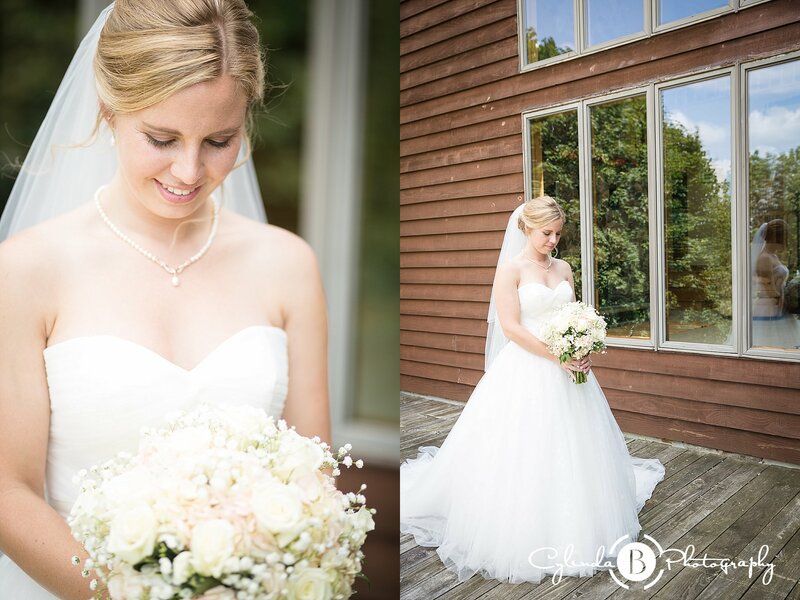 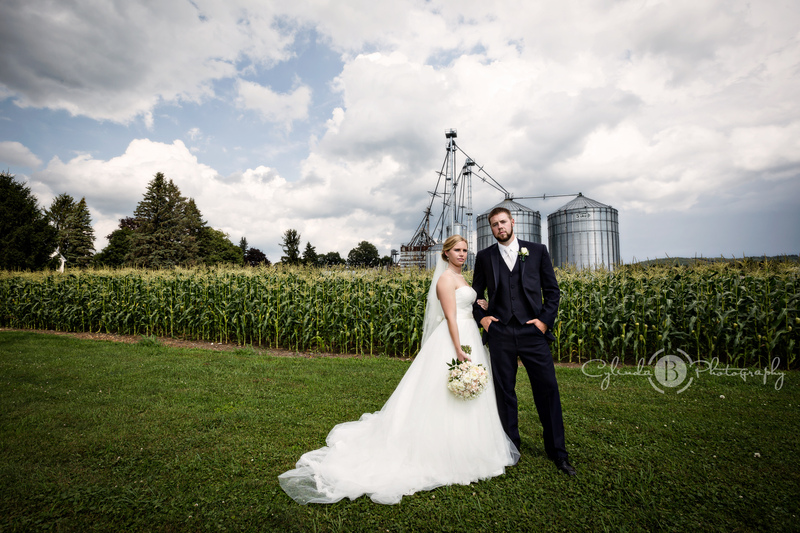 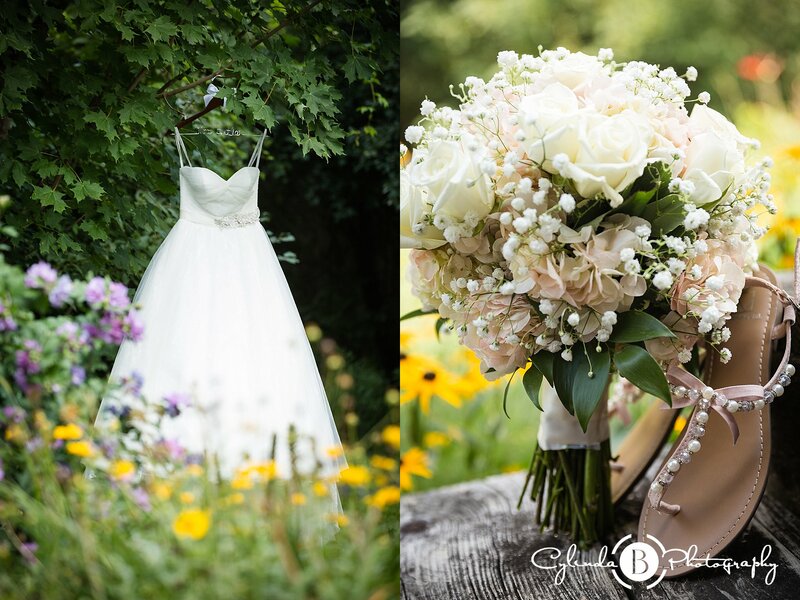 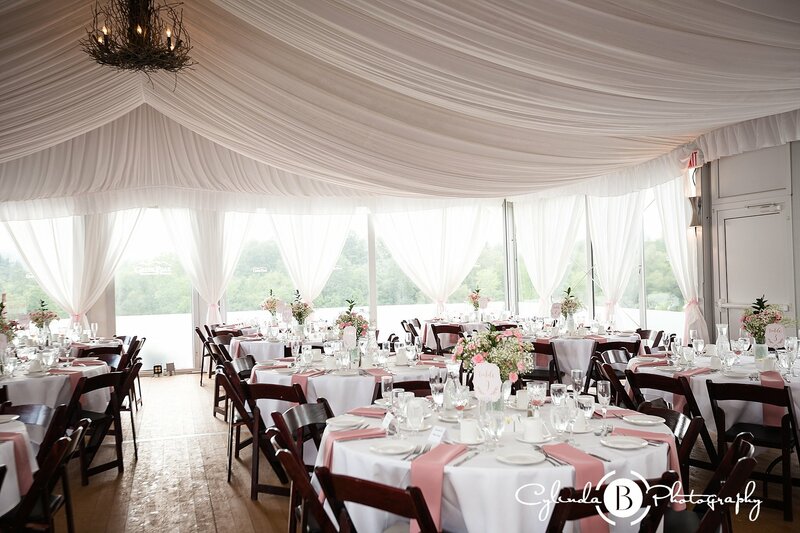 The views were stunning, food was AMAZING, friendly staff and the grounds had a rustic charm. 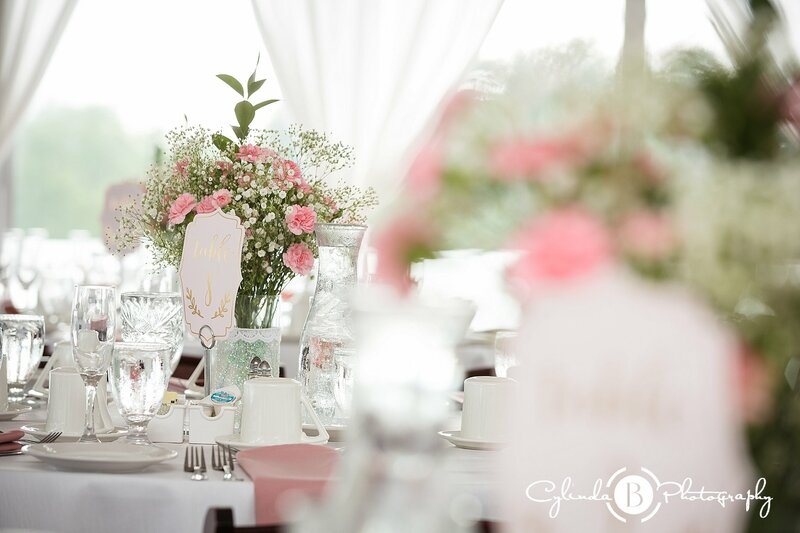 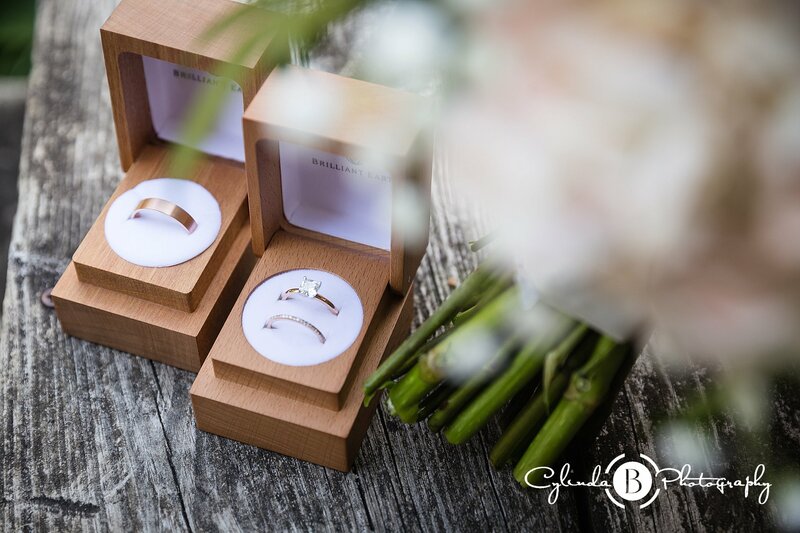 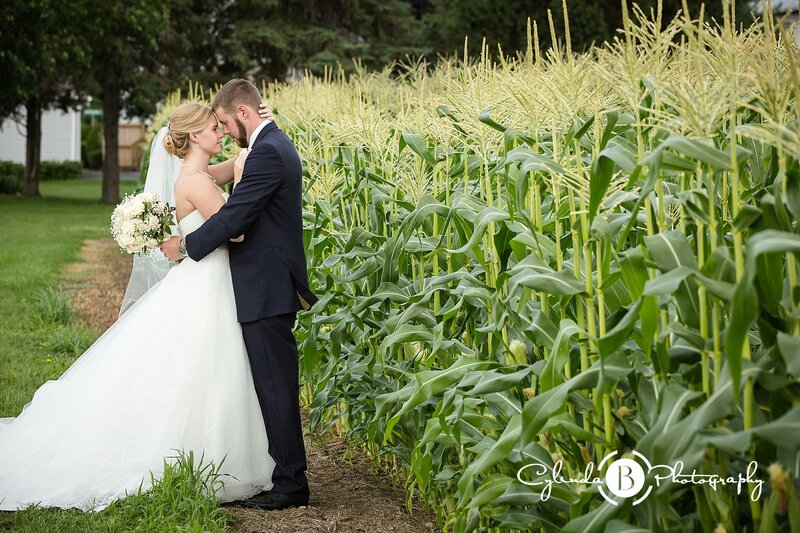 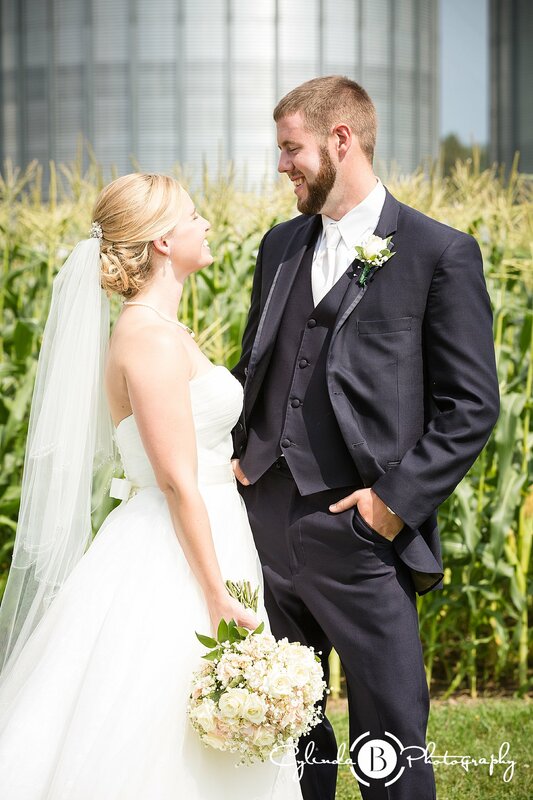 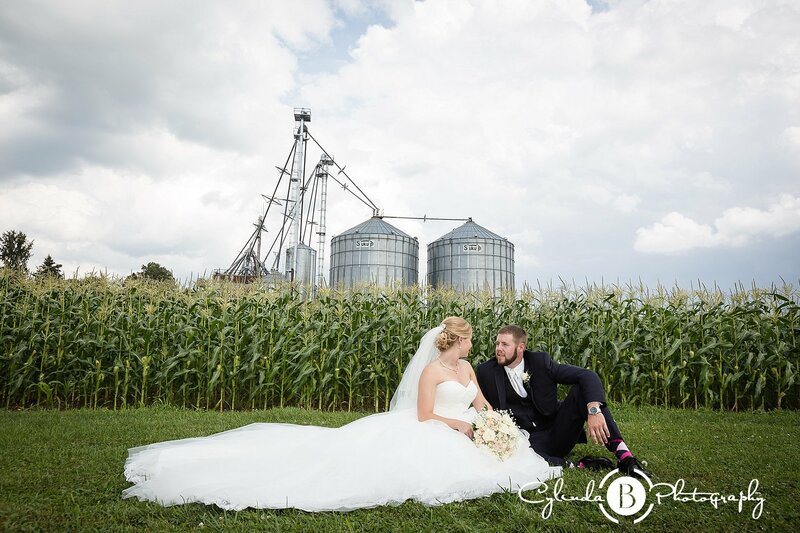 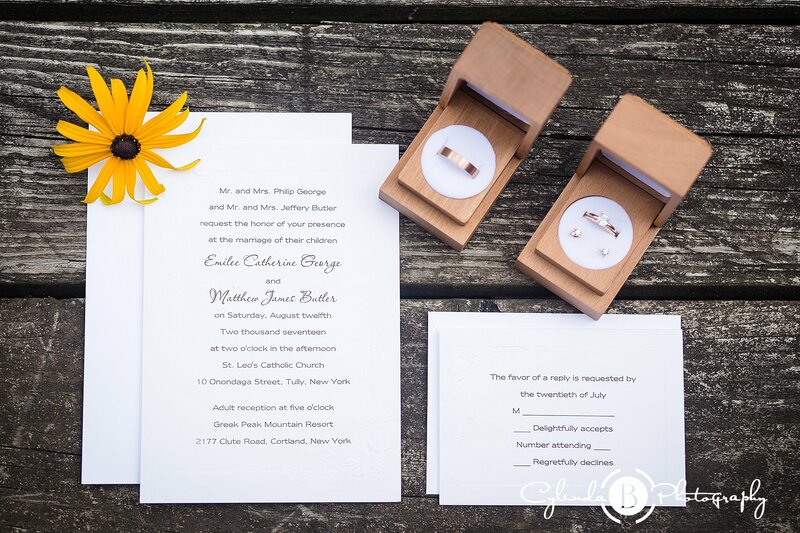 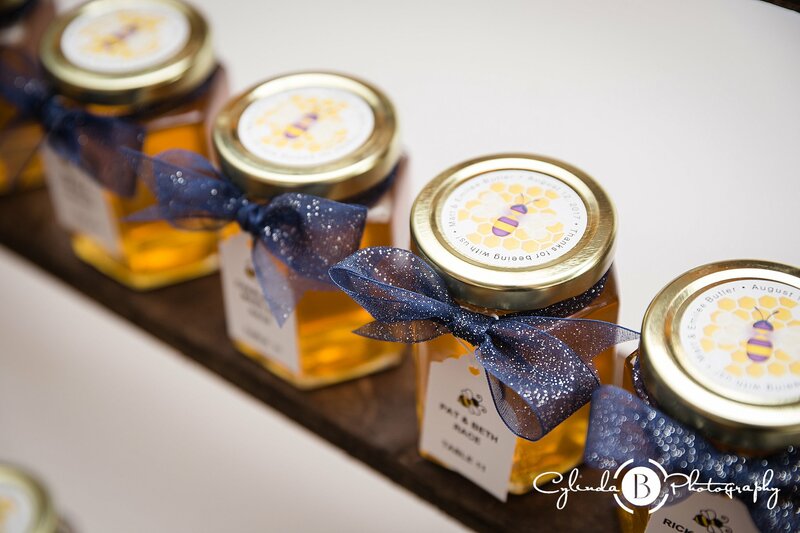 Their elegant, bee/honey-beer theme added a personal touch to their wedding day. 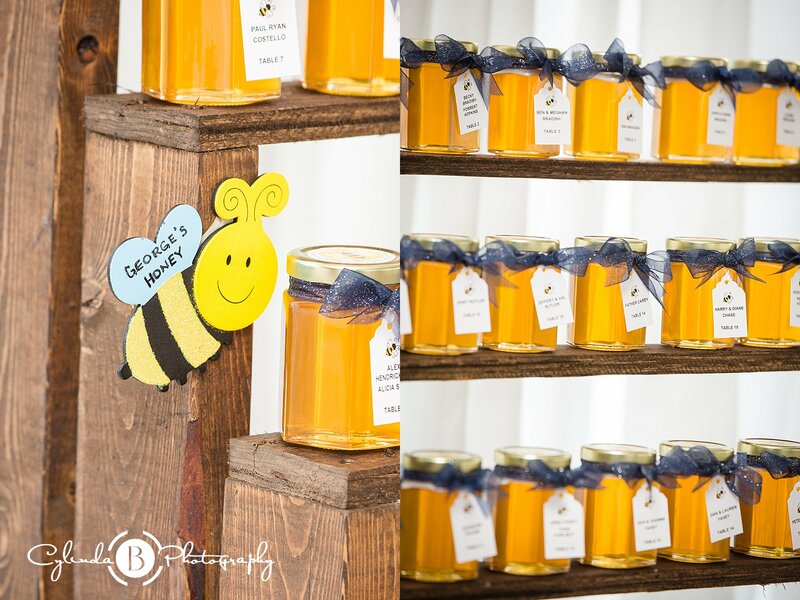 Her fathers honey is the ingredient in Peach Buzz Beer crafted by Empire Brewery, and it was a hit! 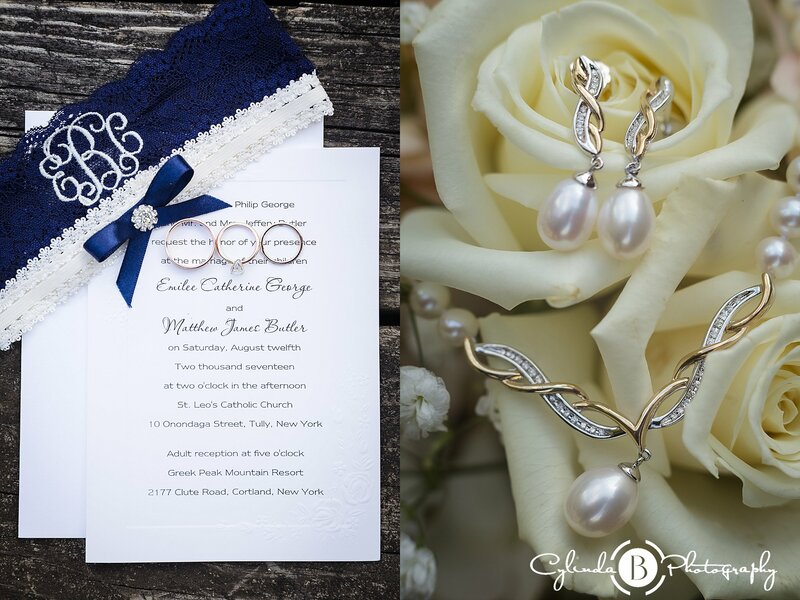 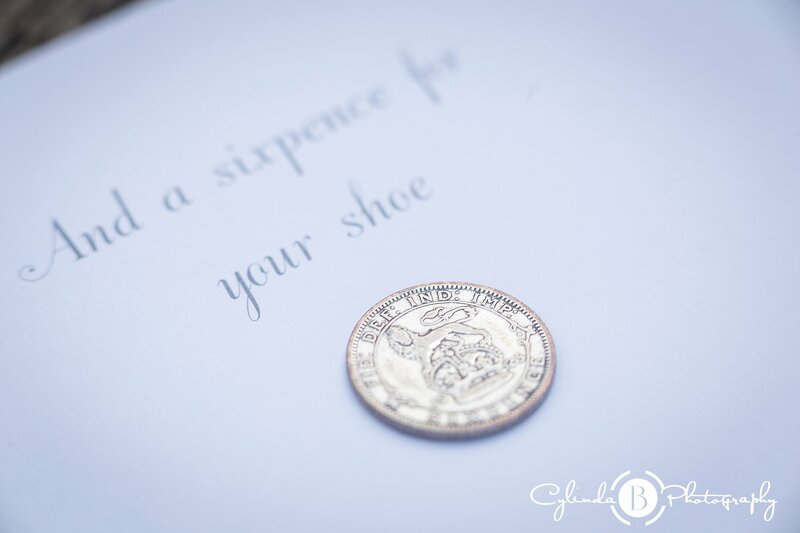 something old, new, borrowed, blue and a sixpence in your shoe! 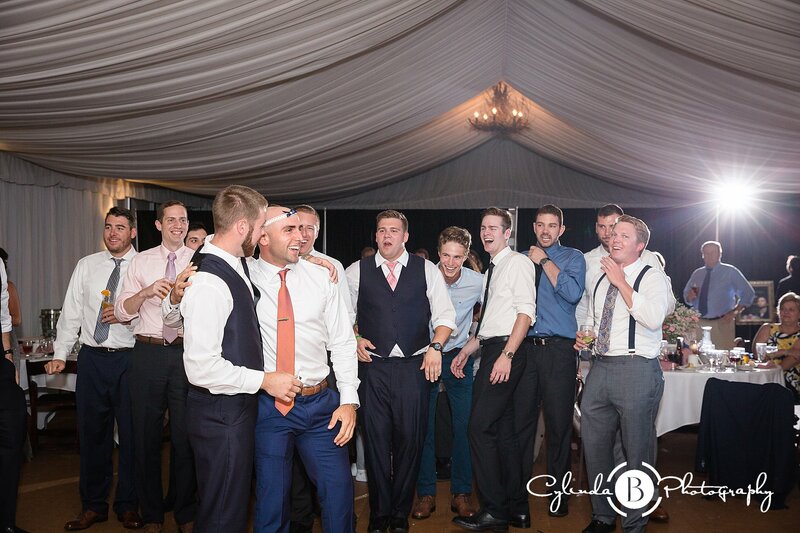 First time I heard about the sixpence! 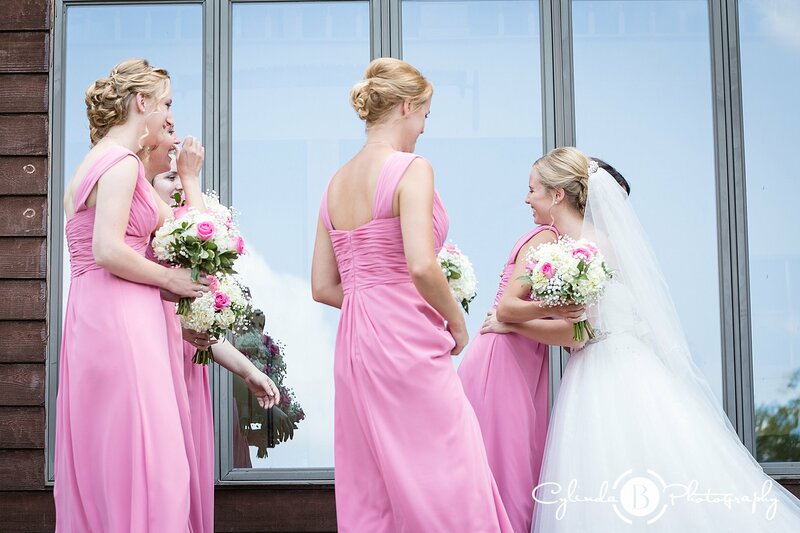 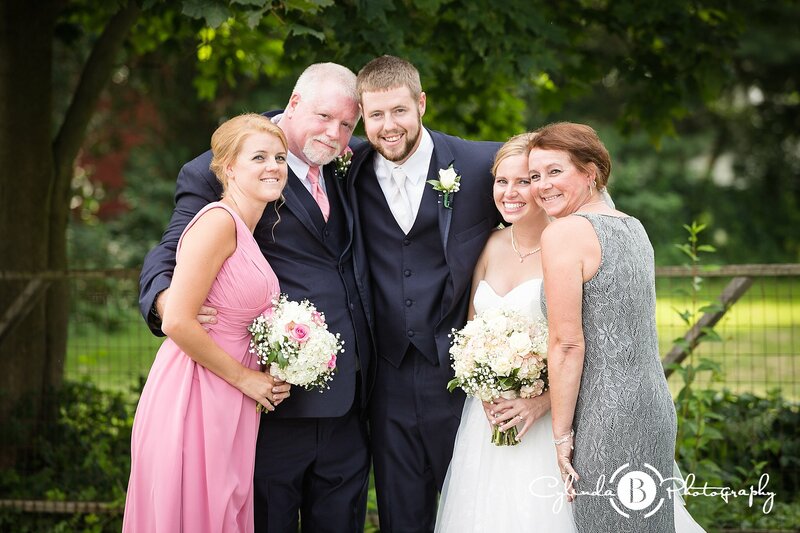 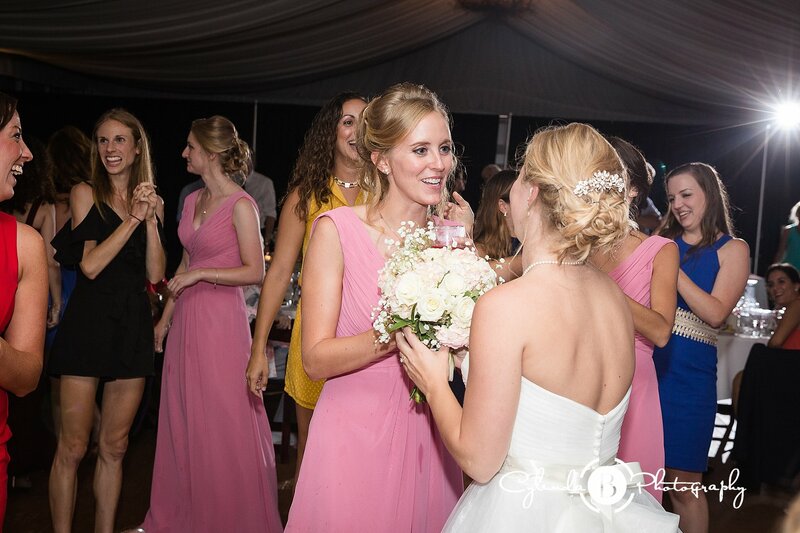 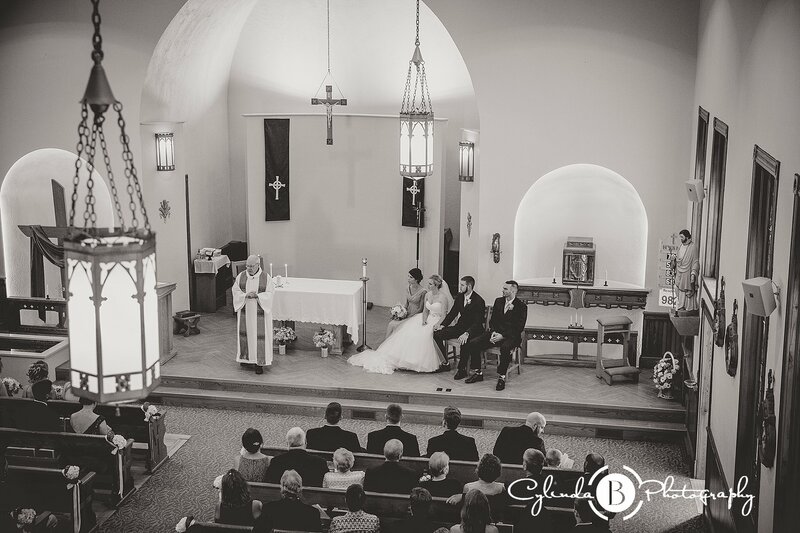 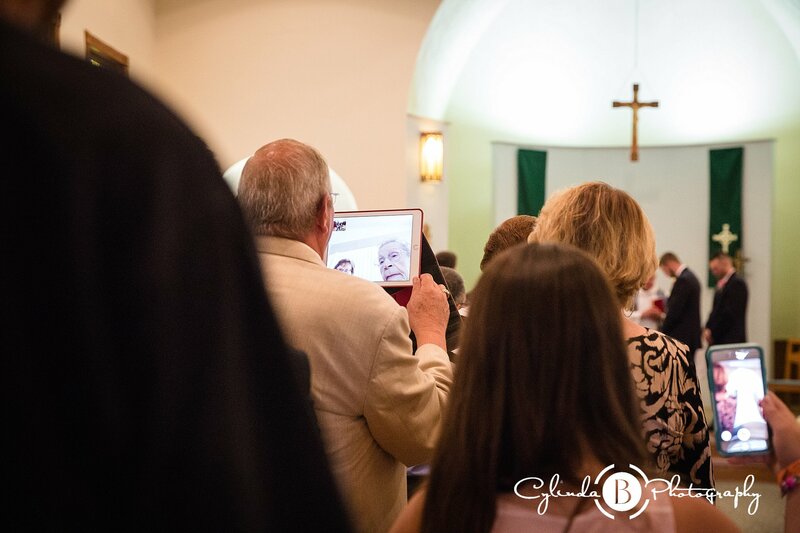 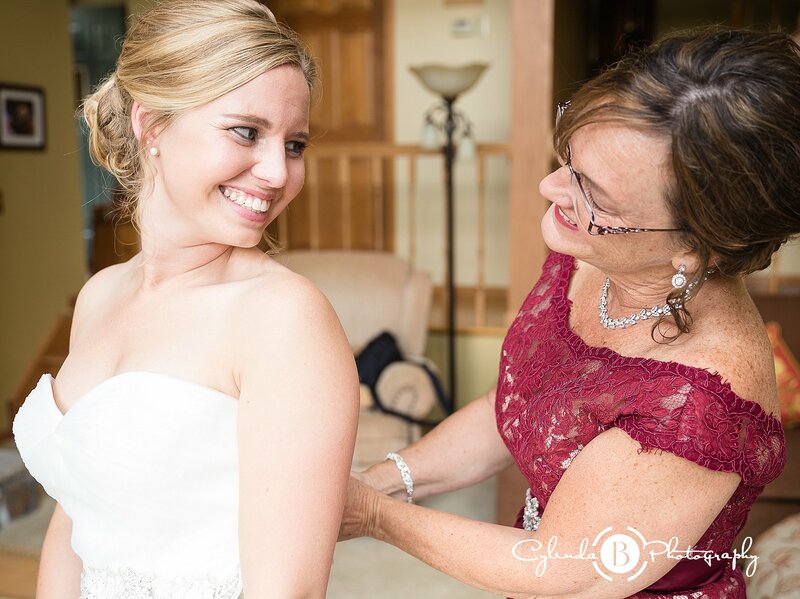 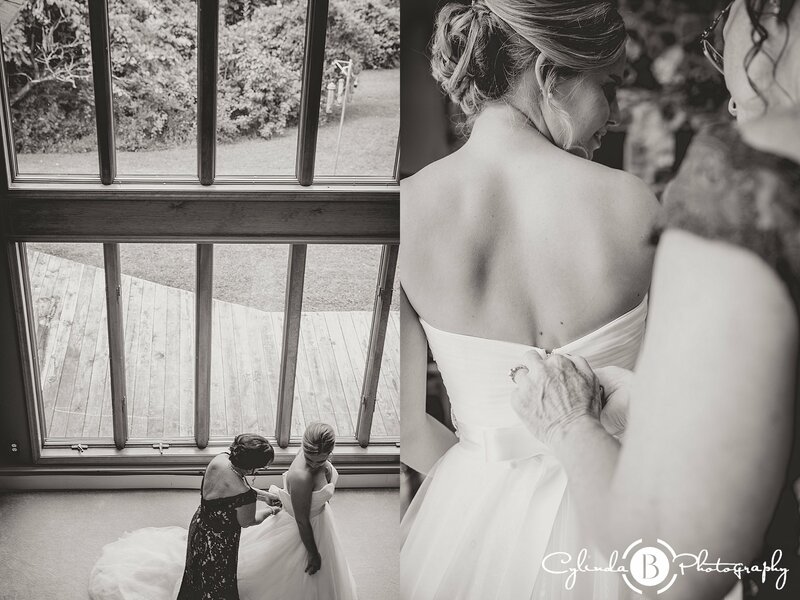 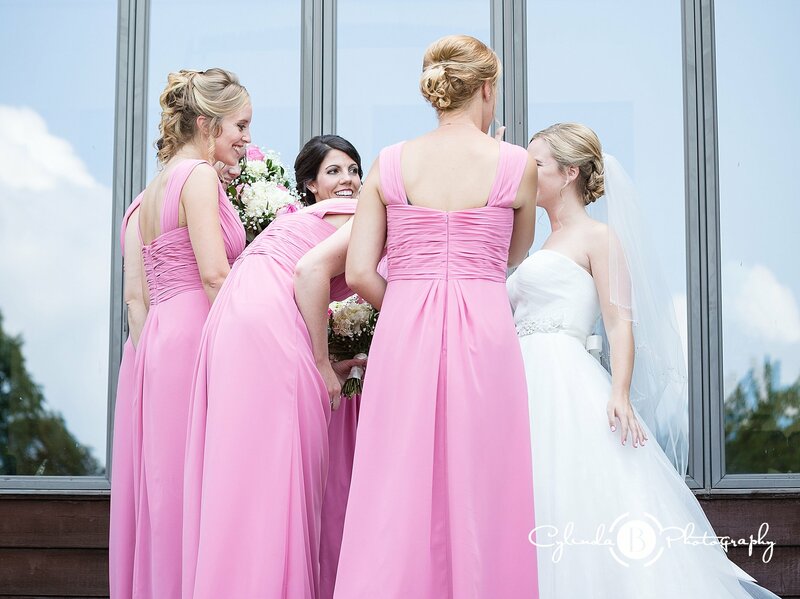 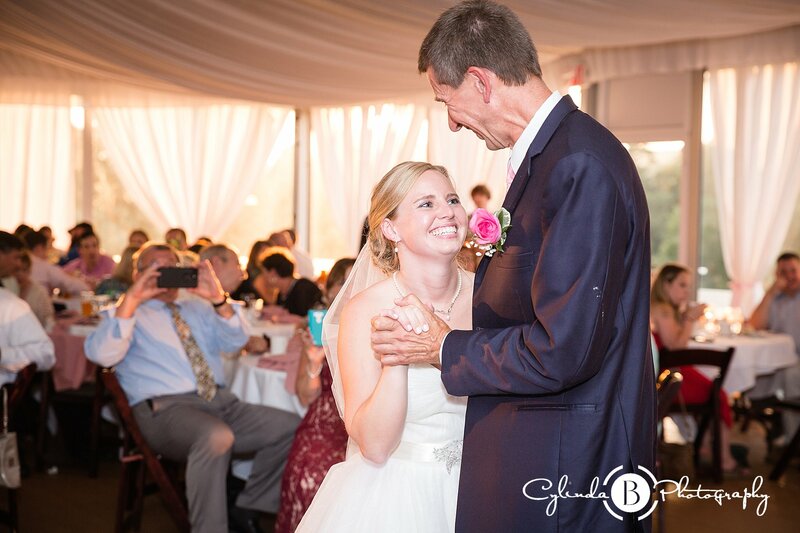 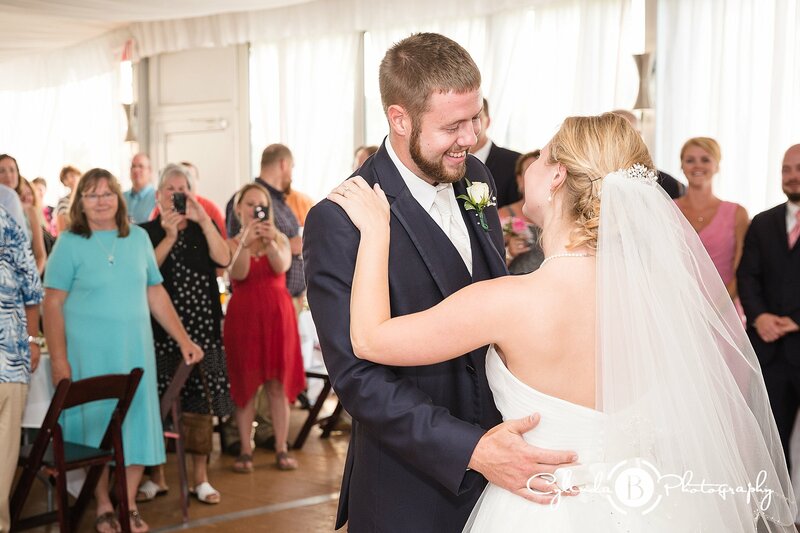 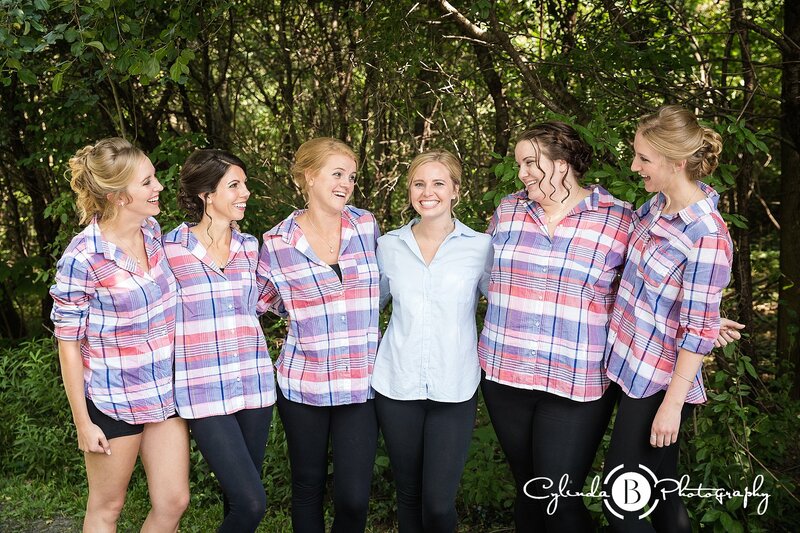 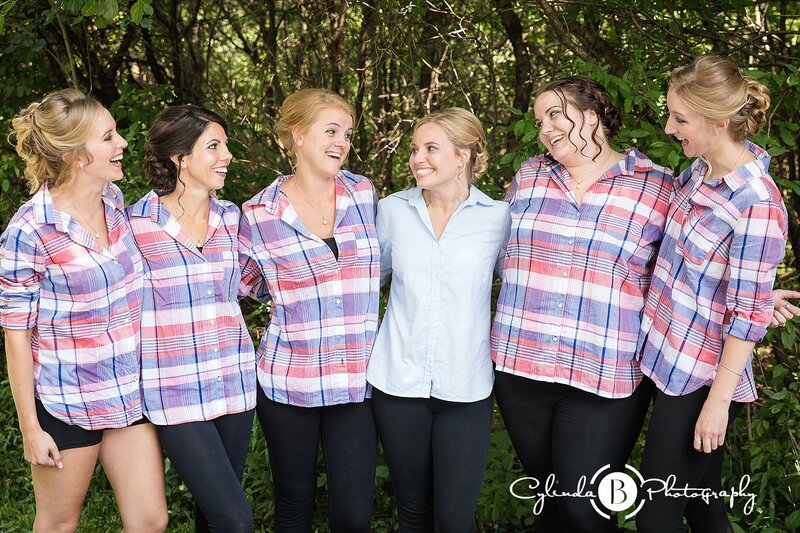 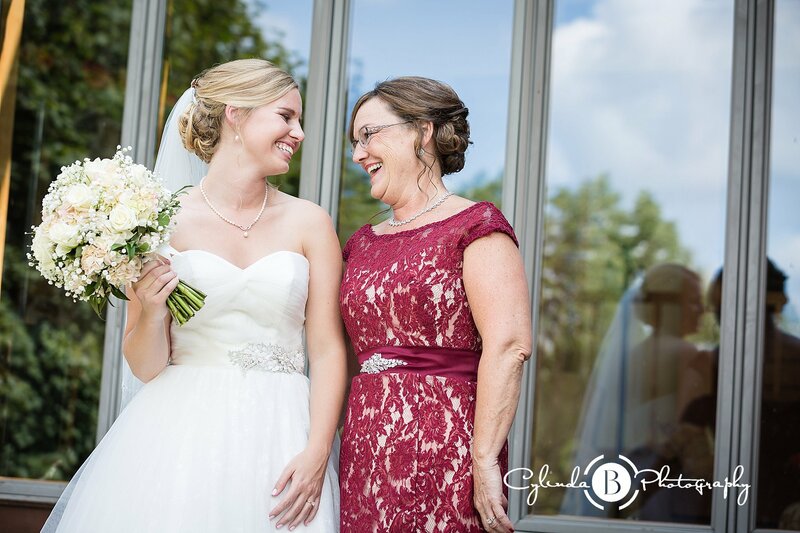 Emilee’s dad gave her mom a sixpence before their wedding, and he gave her one on Christmas for her wedding 🙂 ❤ Emilee’s girls seeing her dress and her in it for the first time! 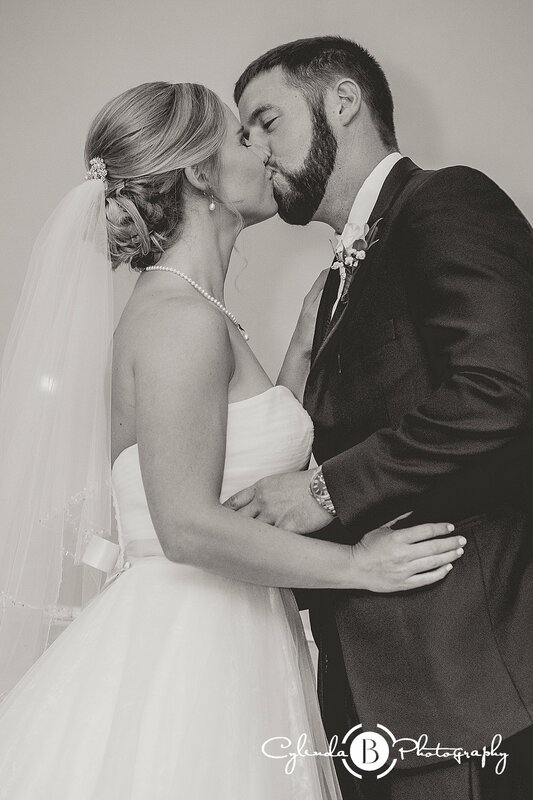 “Emilee always sees the good in people, and always does things to make others happy” Matt said this is one of the things he loves about Emilee, and over the year I got to know her and she truly is a beautiful soul and one of the kindest people. 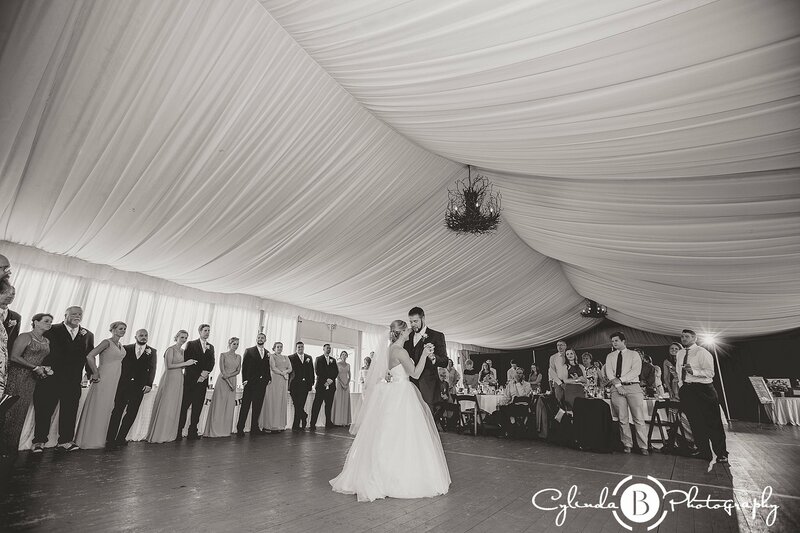 Golden hour inside the tent! 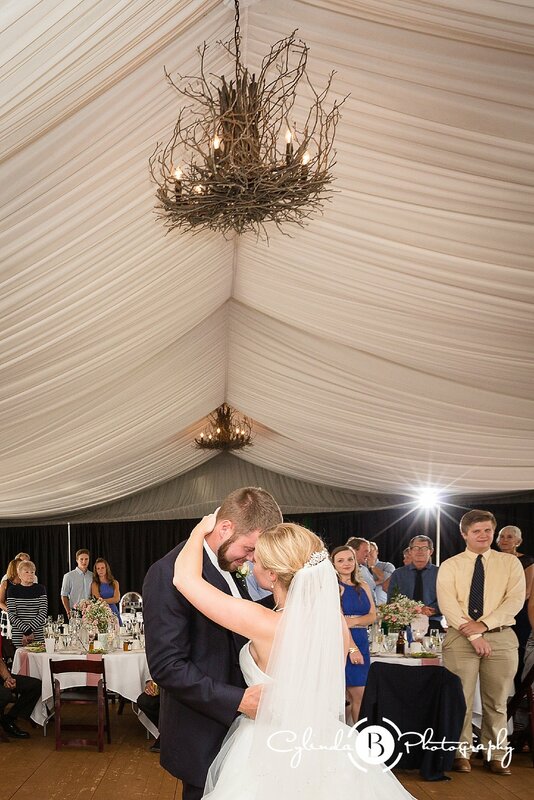 🙂 We wish y’all a lifetime of love & happiness!! 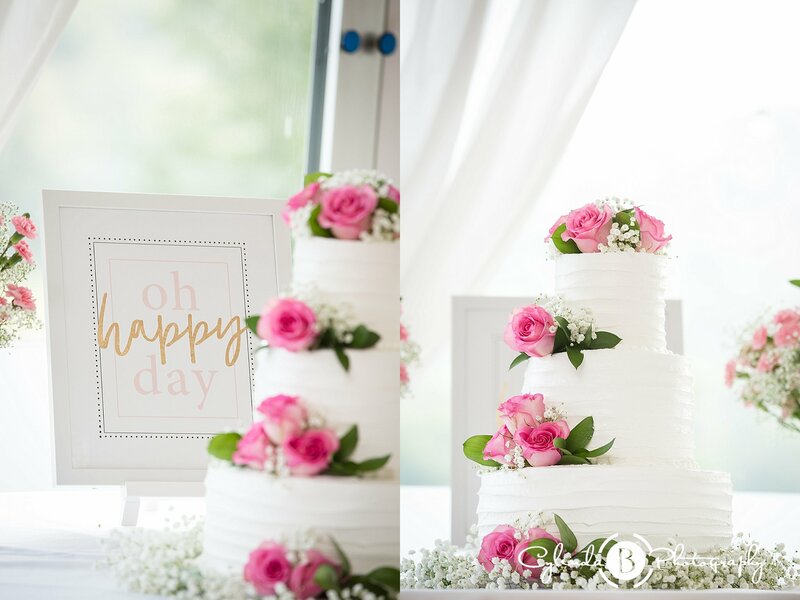 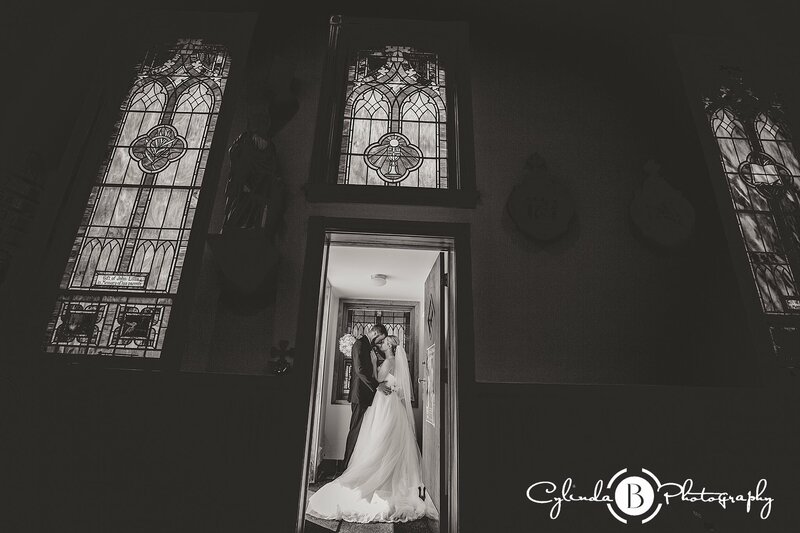 Big thank you to everyone who helped make their day so special. 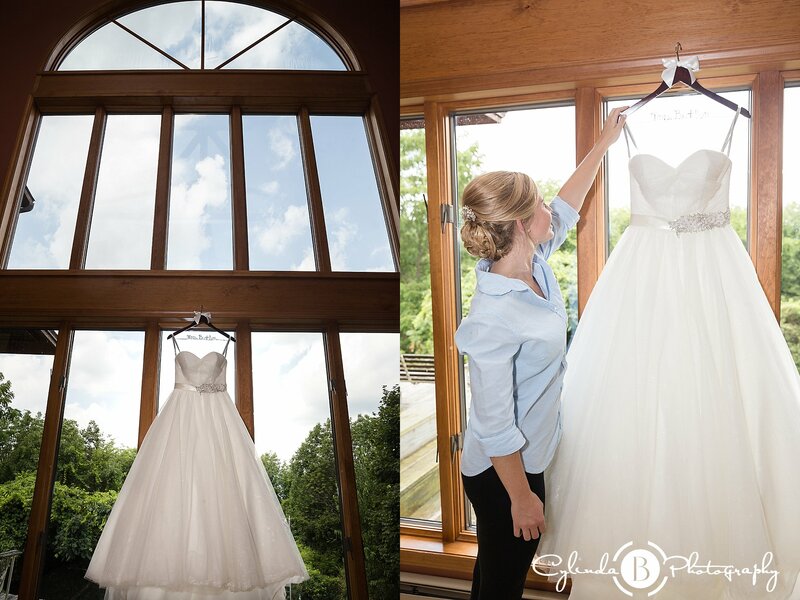 Bridal Gown Purchase Location: Mirror Mirror Inc.